Our lawyers will go through our intake questions with you to determine exactly what happened, who’s at fault, and what the best process is to help you. Essentially, the thrust of our discussion will be factual—we need to determine all of the underlying facts so we can best represent you, and so we can get you as much money as possible for your claim. We’ll need to know about the collision—what happened, who witnessed it, who was involved, what did the area of the collision look like, the extent of the damage to the vehicles, and so on. We’ll need to know about your injuries—what hurts, what medical treatment did you get, and what follow-up treatment do you need. We’ll need to know about other damages that you have, like lost wages, damaged property, and things of that nature. We’ll need to know what additional things you need help with—getting your car repaired, or finding follow-up medical treatment, perhaps. 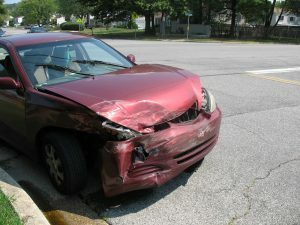 Finally, we’ll need to know about your health before the collision (insurance adjusters love claiming that you were already hurt before the collision, as if it absolves them from any injuries you had because of the collision—we are familiar with those tired, old arguments, and we need to know the details of your medical history in order to best respond to those arguments). It sounds like a lot, but most initial client meetings last between 30 minutes to an hour. Please remember—the most important thing is to make sure that you are taken care of. We want to make sure you have the tools you need to get better. We want to help you get back to work. We want to make sure your car gets back on the road. And we want to make sure that the other side understands all the ways that this has affected your life. Questions? Call us at 410.252.0600. Nervous about talking on the phone to a lawyer? Don’t be—we’re regular people. If you are, you can e-mail us questions at jcord@charmcitylawyer.com. Put the words “Auto Collision Questions” in the subject line, and we will point you in the right direction.